A Taunton man was killed yesterday after a boating accident on the Taunton River, and the boat’s operator has been charged with homicide by vessel while operating under the influence. The crash occurred around 6 p.m. when the boat’s operator Anthony Rose, 46, crashed the boat into a tree in the water, killing his cousin Manuel Pinhero, 47. Investigators say Rose had been under the influence of alcohol and was traveling at a high rate of speed at the time of the accident. Police received emergency calls around 5:45 p.m. from other boaters who witnessed the accident. After the accident, Rose allegedly drove the boat ashore near east Water Street in Taunton, where he and other passengers were met by Massachusetts Environmental Police. After failing field sobriety tests, Rose was placed under arrest and was charged with OUI homicide by vessel and negligent operation of a boat. He was arraigned in court this morning and held on $10,000 bail. The crash is still under investigation. Just as with driving a car, operating a boat comes with high responsibility. Some of the main reasons people get into boating accidents include careless operation, inattention, inexperience, passenger behavior, speeding, and substance use. 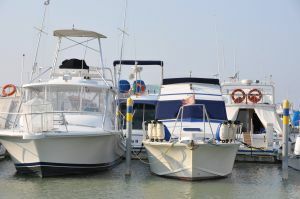 There are many different types of boat accidents, including boats colliding with other boats, boats flooding, passengers falling overboard, water sports mishaps, and as was the case yesterday boats colliding with fixed objects. As the weather gets warmer and boating season gets underway, it is particularly important to understand the proper actions to take while boating-whether you’re a passenger or operator. Always remember to have the proper safety equipment on board including life preserver and a first aid kit. If you are a passenger, it is highly recommended you wear a life vest. If you are an operator, make sure you always stay sober on the water. Though it may be tempting, consuming alcohol on a boat is just as serious as drinking and driving a car. Injuries, especially with boats can be often times severe or fatal. For those who have been involved in such an accident, getting the necessary medical attention and treatment is essential. If you have been involved in a boating accident and are unsure of what your next step is, call an experienced lawyer at the offices of Altman & Altman for a free initial consultation. Our attorneys have nearly 50 years of experience handling boat accident cases, as well as criminal defense cases for operators charged with causing a boating accident. Whether you are seeking representation for your injury or you are facing criminal charges, our team of attorneys will work vigorously to defend your rights and get you the compensation you deserve. We are available around the clock to assist you with any questions about your case.